...I'm back at blogging! I've started with a clean slate and updated it a bit. I still have more to do, like sorting through the links to see who's still around and who's not and adding some new places 'n folks that I've found in the meantime. The end of the school year is fast approaching! I can't believe that I will have a Senior, 8th-grader and 4th-grader going into the next year...wow! Both boys will be going to Glorietta, New Mexico for church camp this summer, as well as attending football camps. Sydnee will experience her very first church camp, but not quite as far away ;) Dance recital is in just four weeks and the theme is "Alice in Wonderland". It's always such a delight to see her tap, jazz and ballet across the stage. She enjoys doing her very best no matter what the task. Today she participated in her 3rd grade class' Track and Field Day. She took 1st place in the 100M Dash and Long Jump, 2nd place in the 50M Relay and 6th place in the 3-Legged Race...she was on cloud-9! I got lots of pictures and could have gotten more if my camera's card hadn't been full; I'll post pics tomorrow! 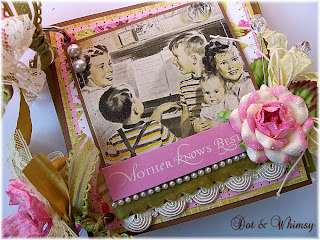 Well, I hope that I get to blog before Sunday, but if I don't...HAPPY MOTHER'S DAY to all of my wonderful friends! <------------------This is a current listing that I have on hand at Dot & Whimsy. 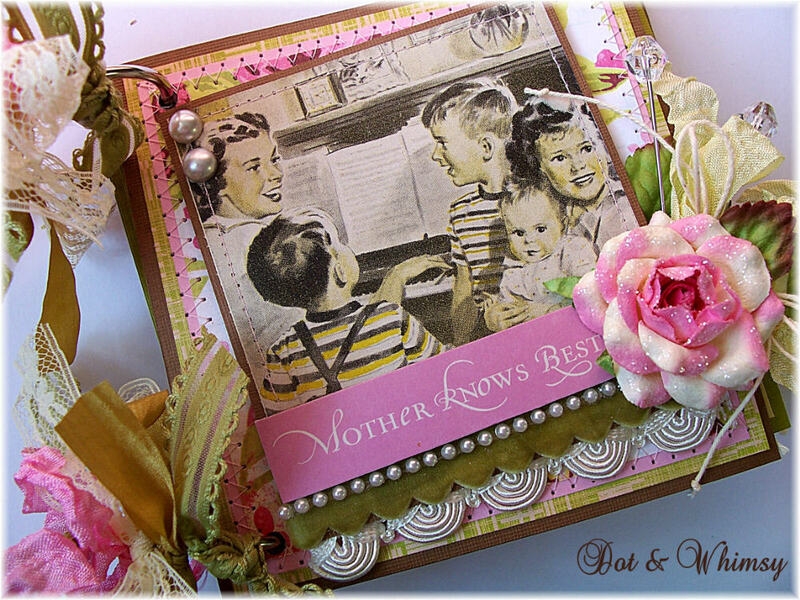 The mini scrapbook album features cool vintage magazine photos and fun quips and proverbs known to be said by moms since the dawn of time. I'm also having a SPRING SALE...save 15% on your order by entering CODE: HAPPYSPRING2011 at check-out!